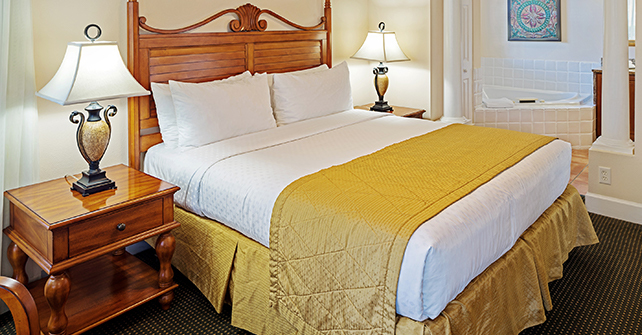 Find all the essentials needed to Stay Vacationed® in Orlando, Florida in our 1,729-square-foot, three-bedroom adjoining rooms. 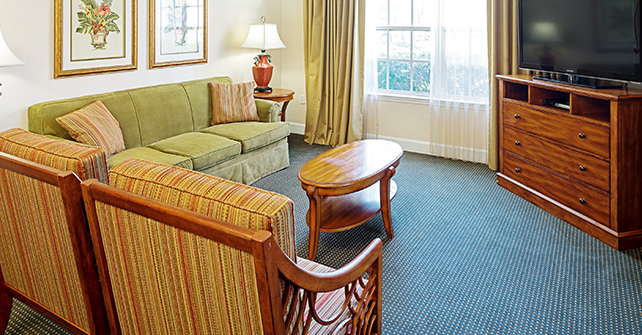 Able to comfortably accommodate up to 10 guests, you will enjoy the luxury of this spacious three-bedroom suite. The master bedroom features one king-size bed and a full bathroom with Roman tub, while the guest bedroom offers a plush king-size bed and a bathroom with a shower. 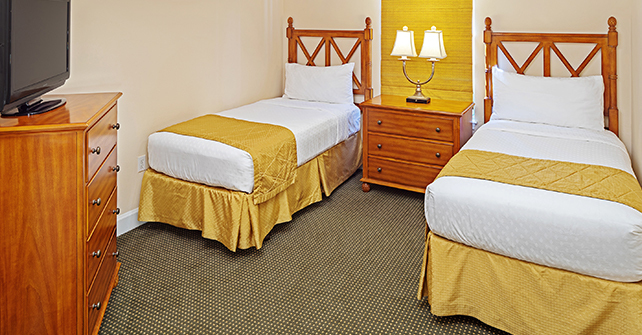 If additional sleeping accommodations are needed, two twin beds in the third bedroom along with a sleeper sofa located in both dual living rooms offer the perfect solution. Spend your days enjoying all the family fun this adventure-filled destination has to offer, then return to your peaceful enclave to relax. Save time and money with the laundry area (washer/dryer) in the kitchen. Gather around the table to recount the memories from the day, as you dine together in the comfort of your full kitchen. 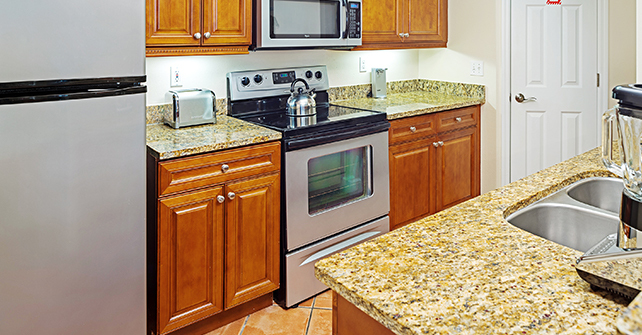 With well-appointed amenities, the kitchen area offers all you need to make mealtimes easy including a refrigerator, microwave, full-size range with oven and a coffee maker.